The lunar month of Karthika began on November 7th and will continue until December 6th. The energy of this month as a whole is fiery and wrathful, being named after the God of War in Hindu literature, but this energy can be used to help overcome obstacles that you have had trouble with using more peaceful and diplomatic measures. The lunar mansion active at the time the month began was Vishaka, a constellation that also has some powerful energy due to its rulership by two classic vedic deities; Indra and Agni, the king of the Gods and the lord of Fire respectively. Hence the energy this month is about getting control of a situation that has been running away and learning how to offer the rewards back to the divine once success is achieved. Indra is the ruler and president, so-to-say, of the vedic pantheon while Agni is the gateway of all the offerings (the first-fruits of the harvest), so be sure to give back to the Universe somehow via charity, offerings, pujas, etc…after you have success in your endeavors. On December 7th the lunar month of Margasira begins under the influence of Jyeshta, another constellation associated with Indra, victory, and conquest. 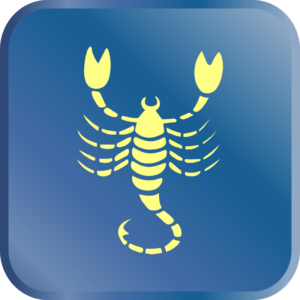 This constellation is indicated by the stinger of the scorpion in the zodiac sign Scorpio, and hence also has some wrathful and powerful indications similar to the previous lunar month. There are also some esoteric and auspicious indications for the month of Margasira that support spiritual practice and development. 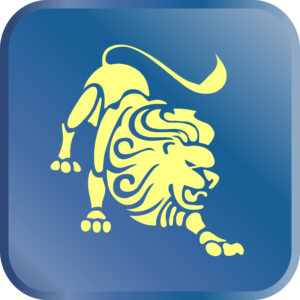 The energy of the month is about success and victory, as the name of the constellation Jyeshtha implies. On the global scale, both lunar months that are active in December can produce political tensions and fighting, civil strife, etc. They are months of friction and development. Jupiter’s strength in the sky and Mars’ weakness in the sky are both saving graces to deal with some of this harsh energy, since such tensions and civil strife will likely lack the power to gain any real momentum, and hopefully some good governance (Jupiter) will help resolve issues. As many of you have no doubt already experienced, this month begins with the last part of a Mercury Retrograde that has been troubling everyone for a few weeks. The retrograde is active in Scorpio, with the climax of it having been the last days of November, so it should be losing strength in this first week of December. Scorpio is all about concealed information, lies, secrets, and hidden problems, and the retrograde can make all of these things rise up to the surface. See it as a blessing and fix the underlying issues that present themselves. The retrograde will be over by the 7th of December. The month begins with your ascendant lord Mars in Aquarius, where it can create new financial opportunities as a result of the work you have put in to a project or education over the last 6 months when Mars was transiting Capricorn. The only sub-text here is that Mars isn’t too happy in Aquarius, so you’ll feel like you have less energy and drive than usual since Aquarius will kind of “sap” the energy out of the body. Now that Mars has broken free of the Sarpa Yoga cast by Rahu and Ketu over the last 6 months, things should finally get moving financially and professionally, setting into motion some work that probably won’t really kick into gear until Mars enters Aries in a few months. Romance will likely be a keynote in your personal life this month due to Venus, the planet of love and romance, strongly aspecting both your rising sign Aries and your planetary lord Mars, giving a new relationship the energy and passion needed to progress to the next step. If you are a couple trying to conceive a child then this aspect of Venus on Mars is traditionally supportive of conception. Aside from its romantic overtones, this same transit of Venus in Libra this month is also good for new business ventures and professional partnerships. Rahu and Ketu are still afflicting the Cancer/Capricorn axis of the sky, which will continue to create changes or tensions in your living situation until January, after which some resolutions should present themselves, either in a change to your current living situation or a new residence all together. 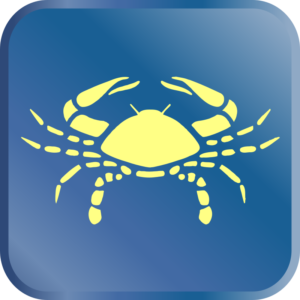 The aspect of Jupiter on Cancer helps ensure that these changes will be positive and conducive to happiness and prosperity. More specifically, a residence near a temple/church, or near/with your spiritual mentor, is likely to present itself due to Jupiter’s aspect, though in some Vedic authorities this can also mean a house predominantly made of wood should be looked for. The Sun is going to begin the month in Scorpio alongside a good Jupiter, which will help nourish your body and is good for all kinds of health goals and even medical/surgical work. On the 15th, the Sun will enter into Sagittarius for the rest of December. The aspect of Saturn on the Sun here in Sagittarius can make you feel isolated or separated from those you love, but the raja yoga (power combinations) formed by this Saturn/Sun combo may indicate that this is just because of changes in your life that are actually good for your career and destiny in the long run, even if at the moment you are wondering if you made the right choice and doubting your life decisions. As a Taurus, your planetary lord Venus is passing through Libra all month. This is actually a kind of raja yoga (power combination) for overcoming obstacles and enemies in your life, and since Venus rules the physical body for a Taurus ascendant this month is a good time to exercise, change your diet, and take care of your body (getting ready for those New Year resolutions…), as well as taking care of any legal issues that have arisen. If you are one of the people experiencing some o the legal problems caused by this transit, then the Mercury retrograde for the last two weeks has probably been very stressful and problematic, but progress will be made after the 7th of December in these matters, and if possible hold off any official decisions until then. At the beginning of the month Jupiter, Mercury, and the Sun are all strongly influencing your chart. 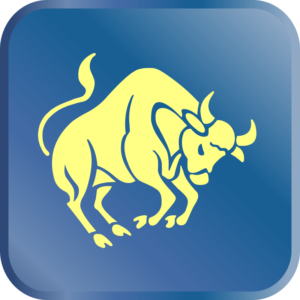 This is a good combination for business ventures, especially deals that involve large companies or lots of paperwork, though all of these planets can cause stress and anxiety for a Taurus. If you are working on anything big, or trying to make a serious financial or housing decision, make it while the Sun is still in Scorpio (until the 15th) since that helps give you a better sense of security and clarity in your decisions, the best time for such decisions being from the 8th-15th to avoid the Mercury Retrograde. And along those lines, Mercury retrograde is likely to cause relationship issues (either professionally or romantically) by revealing some secrets or underlying problems in the relationship. Again, never make decisions during a Mercury retrograde, wait until it ends on the 7th. The Sun will leave Scorpio on the 15th and enter into Sagittarius, where it becomes conjunct with Saturn. Now Saturn is a good planet for Taurus, while the Sun is a little difficult, and likewise, this is a mixed combination. On the one hand, the Sun with Saturn can increase depression, fatigue, and lead to overworking yourself. On the other hand, Saturn being activated by the Sun can give some positive changes to your house or office space. Either way, neither planet is particularly powerful here. Mars will spend most of the month in Aquarius, where it will keep you busy with work and likely cause some stress in this regards. 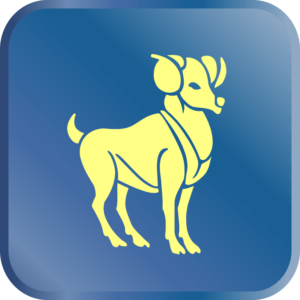 On the 21st, it leaves Aquarius and enters into Pisces, which supports investments and international income, as well as generating multiple sources of income, depending on how it is placed in your own natal chart. The month begins with a frustrating retrograde Mercury, which is going to particularly impact you since Gemini is ruled by Mercury and thus anything happening to Mercury is going to also influence Gemini. In the 6th house of Scorpio, this retrograde can lead to physical injuries or problems, cause conflicts at home or problems with the house/office itself, and someone may intentionally try to cause problems in your life. Luckily this is only an issue for the first week of December, after which Mercury resumes a normal forward motion and things should begin to clear up. With Mercury, Sun, and Jupiter all in Scorpio for the first half of December, there can be some changes in your work life, either due to conflicts or just because you feel you have grown out of your current position and are ready for a change. The Sun’s position here alongside Jupiter could indicate problems with a superior at work, or a change in the management situation. But aside from some conflicts, Scorpio has a powerfully transformative effect on Geminis, and the presence of all of these planets can give you a lot of energy to accomplish your goals, especially those related to work and health. After the 15th, the Sun will leave Scorpio and enter into Sagittarius, which should water things down a bit and let some of the problems from the last month cool off. The Sun in Sagittarius is good for short trips and business deals or contracts, especially with friends or siblings. Mars will be in Aquarius until the 21st of December, where it gives some mixed results. Mars doesn’t really like to be in Aquarius, and when we consider some of the aspects in Scorpio mentioned above, we end up with a tense situation in the night sky that can cause problems or accidents with a manager, boss, or even your father. As a strong fiery planet in the 9th house, it does give some good results for self-growth and refining your own principles, but Aquarius is a difficult sign in this regards so such lessons will be heavy-handed and could be hard to digest. Venus in Libra can help offset some of these difficulties if you act out of love and compassion, and listen to the advice others give. If health problems arise with your father, the auspicious aspect of Venus should ensure that medical treatment resolves the problem. Almost all of the planets have a pretty strong aspect on Cancer this month, the most significant ones being Jupiter, Mercury, and the Sun because they all have a supporting position in Scorpio that can give a lot of blessings, so we’ll start there. Jupiter will be in Scorpio for much of the next year, where it functions almost exclusively towards your education and spiritual development. Those on the spiritual path will be spending a lot of time with their mentors and receiving instructions and guidance from them, while those living a more householder-oriented life will benefit from education in whatever area of life they feel will support their future the most. If you are a manager at a business you will also take on some new employees, and teachers will get new students. Writing endeavors are also supported. For this month in particular, the Sun and Mercury are both with Jupiter, tying these energies to a few other areas of life. Mercury generally indicates travel for Cancer ascendants, and its conjunction with Jupiter makes it likely that sometime in the next month you will travel for the sake of education or management (after Mercury quits its retrograde on the 7th). The Sun will be in Scorpio for the first 15 days of December, and this is good for finances and spending time with family, but is also good for any big projects you’ve been working on, or for receiving a promotion or increase in status. Venus will spend the month in Libra, where it works on opening the heart and giving happiness. Some of this happiness comes from your own personal development, but you may also be happy due to acquiring a new vehicle or even a new house. The strength of the Venus here also supports your personal health, so this is a good time to take supplements, herbs, dietary advice, etc, and work on refining the physical body to a better state of health. On the 15th the Sun will leave Scorpio and enter into Sagittarius, where it can give some mixed results. On the one hand, the Sun likes being in Sagittarius and this placement is good for continuing to improve your health, staying physically active, etc. On the other hand, there can be problems or stress related to the government, taxes, finances, or even some stress because of problems with your father. My biggest concern with this transit is that at the beginning of January the Sun will transit Saturn, which will give rise to the difficulties mentioned above. Mars will spend most of the month weakly placed in Aquarius, which may not be great for work efforts but can give good results for health and rejuvenation due to the trine it receives from Venus. On the 21st, Mars enters Pisces, which is a much more auspicious and powerful place for Mars to reside. From Pisces, Mars creates a strong raja yoga (royal combination) that supports finances, work, and spiritual development. It gives a lot of energy for accomplishing spiritual practice and charity work. Throughout the month, especially for the first half of December, the quadrants of the chart are being charged by 4 planets. The quadrants rule some of the most important parts of our worldly life, such as relationships, home, and work, so naturally, these areas of life are going to figure prominently in this month’s forecast. We should expect improvements in all of these areas since the planets that are aspecting them are all friendly to Leo ascendants. Jupiter, the Sun, and Mercury are all placed in Scorpio, which influences your living situation, work office, as well as career. All of these planets are in positive, supporting positions here. Jupiter gives happiness and a sense of stability in life, while the Sun and Mercury both give an increase in status, promotions at work, and more income. You may be asked to take some additional education courses for your job this month or to take on some more responsibility at work. 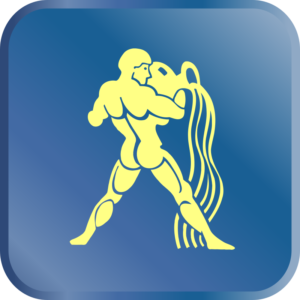 The other quadrant being activated by a transit this month is Aquarius, which influences both romantic and professional relationships. Mars is transiting here, and it gives some mixed results. The transits of Mars are generally auspicious for Leos in just about any part of the sky, but Mars is also quite weak in Aquarius. As such, it’s hard to tell whether or not Mars in Aquarius will give a lot of passion to a new relationship, or cause conflict and fights. I am inclined to interpret this transit positively for a few reasons, the main one being that Venus (the planet of love and romance) will be casting a nice supporting aspect on Mars throughout the month, and hence a relationship may become more serious. This combination can also be good for new business deals and partnerships, and can give you some extra energy to get things done and make changes in your life. On the 15th, the Sun will leave Scorpio and enter into Sagittarius where it joins Saturn. This Saturn-Sun combination can cause some health issues to flare up, or relationship tensions to build (depends on how Mars in Aquarius affected the relationship for the first few weeks of December). A Saturn-Sun conjunction is basically a stress-test on your chart. Areas in your life that have some foundation problems will get shaken up in order to bring your attention to them. These areas are primarily about your health and your relationships. A business partnership can also be strained by this conjunction, but ultimately the end-result will depend on your ability to recognize the issue and try to fix it maturely instead of burning everything to the ground the moment it gets difficult. 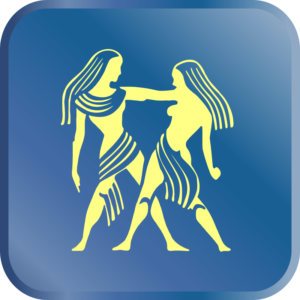 Like Gemini, Virgos are going to be particularly sensitive to the Mercury Retrograde in the first week of December. This can cause problems and confusion with contracts, important paperwork or litigation, sales jobs, or even problems with co-workers. Luckily the retrograde will be done by the 7th and these areas of life should be getting back to normal and functioning properly. A contract or deal you have been working on may have had a hiccup for a few weeks, but after the 7th things should be back to making progress. Scorpio is a strong sign this month, especially in the first two weeks of December, with the Sun, Jupiter, and Mercury all present there. Scorpio is a bit of a difficult sign for Virgos because it deals a lot of with self-growth and personal development, and most people only grow from hardship and struggle. Jupiter will be here throughout the next year, where it is supportive of both personal and professional relationships, can increase co-workers and friends, and help you acquire new deals and contracts, but it draws some strength from your home. By “drawing strength from your home” I mean that you may move a good bit, or feel uprooted due to travel or a relationship that has you traveling back and forth between houses. The effects of Mercury here were described above and is particularly good for business endeavors. The Sun will be here for the first two weeks, where it adds quite a bit of additional energy to Scorpio. The Sun is a difficult planet for Virgo, so these two weeks could actually weaken some of the above-mentioned areas of life temporarily (relationships and business dealing), but once it leaves Scorpio on the 15th and enters Sagittarius then the good results of Jupiter’s and Mercury’s transits should kick in more clearly. In Sagittarius, the Sun will be alongside Saturn for the last half of December and the first half of January. This transit can facilitate moving to a new house or office, but not necessarily because you wanted to. Saturn can force some uncomfortable financial situations or living situations onto you, and it certainly doesn’t help with the Sun’s transit here. At best, you can anticipate some expenditures on your house or vehicles that you probably weren’t prepared for. This can be a stressful and anxiety-producing transit so I recommend spending time with friends and people who make you feel better, more confident, and relaxed. Mars will spend most of the month in Aquarius, which can make you prone to injuries and conflicts, so act accordingly and don’t push yourself too much with anything physical until the last week of December. There can be problems with siblings as well from this transit. 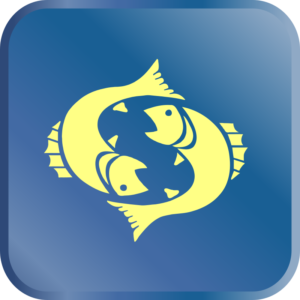 In the last weekend of December it moves into Pisces where it puts a lot of energy into your romantic life. Since Mars is a difficult planet for Virgo this is likely going to be a stress test on your relationship, but it can also simply indicate a sickness or health issue that has nothing to do with your relationships. For all of December the planet Venus is going to be in a prime place for giving its blessings in your life. Venus is the lord of your rising sign Libra, and all month it is transiting through Libra, which gives it very beneficial energy and enhances your health while giving you enough drive and passion to accomplish what you set your mind to. As the planet that rules romance, its strength this month can help nourish and support your personal relationships. But for Libra, Venus is much more than just a planet for romance. Its placement this month supports your entire chart, and where you direct your attention and efforts is where Venus will give its blessings and help create opportunities for you. Jupiter, Mercury, and the Sun are all in Scorpio for the first two weeks of December. Jupiter will actually be here for the next year, and you should expect it to help nourish your connection with your family, help establish wealth and assets, and support your health as well. Mercury beings the first week of December retrograde, so this may be the only thing you notice at the beginning of the month as retrograde Mercury has a pretty “loud” effect in most people’s charts, standing our above anything else happening. The retrograde you’ve been experiencing for the last few weeks forces your attention to financial problems or family issues that you’ve been avoiding and hence is a pretty stressful event. By the 7th of December, the retrograde is over and this should be felt in the form of some progress on your finances or educational work, and can open up new opportunities in regards to business deals and contracts. The Sun is in Scorpio alongside Jupiter and Mercury for the first two weeks of December. From the 8th-15th you should be looking for any financial opportunities coming your way after Mercury ends its retrograde, but be wary of signing any contract before the 8th. The Sun is good for strengthening your finances and opening doors for you in this regards, so make sure to use this productively! After the 15th the Sun moves into Sagittarius, where it is good for any new business deals and partnerships, as well as developing new skills and career opportunities. The aspect of Saturn means these opportunities may be off to a slower start than you hope for. Mars will spend most of the month in Aquarius where it gives mixed results. Mars on its own isn’t very happy in Aquarius, so some problems related to children or students can be predicted, and in women this also influences the reproductive system. On the other hand, the angle Mars is placed at in Aquarius is actually supportive for Libra ascendants, and it receives a nice aspect from Venus as well. This Mars-Venus aspect is very good for nourishing the health, especially the blood and reproductive systems. Scorpio is surrounded by planets this month with three planets in Scorpio itself, a planet in the sign after it, and a planet in the sign before it. This all directs a lot of energy towards your rising sign that creates opportunities for change and transformation in your personal and professional life. A special combination called “papakartari yoga” occurs because of how Venus and Saturn flank Scorpio on either side, giving you a sense of the walls closing in on you, making you feel under pressure and stressed due to big impending changes. Venus makes one of these “walls” into worries about expenditures and debts, while Saturn makes the other “wall” closing in about changes to your house or office. 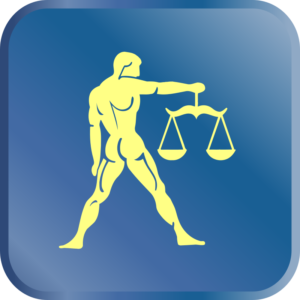 The fact that Venus is strong in Libra reduces the negative side of this combination, and even though it may cause stress related to finances, the expenditures and changes occurring are positive and ultimately support you. The month begins with Jupiter, Mercury, and the Sun in Scorpio. Jupiter will be here throughout the next year and it is capable of giving a lot of blessings in the form of work promotions, increased income and net wealth, and even children. Mercury is retrograde here until the 7th, where it will add to the stress caused by the combination mentioned above with Saturn and Venus simply because people act strangely during these retrogrades and paperwork gets confused or misplaced, making any endeavor more stressful than it needs to be. On the 7th Mercury will resume a normal forward motion where it is actually capable of giving you a raise or an additional source of income. The Sun is in Scorpio for the first 15 days of December, adding energy to all of the aspects and transits mentioned above. This is a lot of energy being put into your ascendant, which can overload the nervous system and cause fatigue. Make sure to eat well, rest plenty, and take care of supporting yourself so that you have the energy the reap the positive sides of these aspects. Just because its a ton of energy doesn’t mean its actually bad, but if you’re too tired to get the positive benefits then obviously you may miss some opportunities. Like Jupiter and Mercury, the Sun in Scorpio can give you a promotion at work, change your work situation, and give you status and recognition. On the 15th the Sun enters Sagittarius, where it takes some heat off of you and allows you to relax a little bit after an intense month. 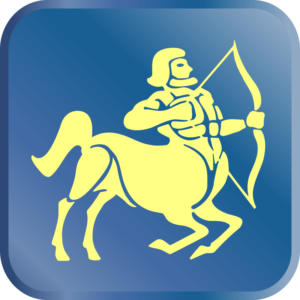 In Sagittarius, your attention may be drawn to some family issues, or a family problem may rise to the surface again. Your ascendant lord Mars is in Aquarius for most of the month, putting your attention to housing, office work, and where you’re going to live. Mars in the 4th house (Aquarius) is always stress-inducing, even if Mars is a beneficial planet for you as is the case with Scorpios. Lots of the changes are in store for Sagittarius ascendants over the next year while your ascendant lord Jupiter moves through Scorpio. This transit is going to challenge a lot of your concepts about your self, how you find happiness, and what your future looks like. While Jupiter will be doing this for the next year, some transits in December are going to jump-start this process. Mercury and the Sun are both passing through Scorpio to join this Jupiter, which can result in a lot of travel or expenses related to your home and living situation but can also lead to changes in your career. 2019 is an important year for you to travel and get some experiences around the world, or to at least go out of your way to have some new experiences in new places, and this month is a good month for setting these plans into motion or at least getting them on paper and on the calendar. Educational expenses or housing expenses (or both) are likely, and because of so many change and transformations happening your relationship life may come under some stress. The Sun is in Scorpio until the 15th, at which point it moves into Sagittarius. If its transit for the last few weeks has been difficult on your job situation then this will fix it. After the 15th the Sun is much better placed in your chart, opening up new opportunities for work or management positions, putting the attention on you. This transit can also give clarity in spiritual matters and educational pursuits, and such clarity can be rare for dual signs such as Sagittarius so make sure to act on any insights you get on your future in the last half of December and first half of January. Mars will spend most of the month in Aquarius before moving into Pisces in the last week. A sibling may come to visit, or you may travel to spend time with a friend or sibling. There may be conflict with a co-worker, or you may have a physically demanding new project you are working on. There may be a conflict with a superior or mentor. At the end of December Mars will move into a much better place in Pisces for quite some time, where it will receive a nice supporting aspect in Jupiter that will help you with any new house projects, finding a new house, important expenses, etc. Venus will be strong in Libra all December creating new financial opportunities, especially when combined with the transit of the Sun into Sagittarius from December 15th-January 15th. Now that an exalted Mars has left Capricorn your life should be calming down and returning to a better pace and direction now, but at first this may feel like you have lost some energy or direction, which is just a reaction to the energy of the body returning to normal after months of being powered by such a strong Mars. Mars has now moved into Aquarius, which can bring some problems to your family life as well as make you feel like you’ve lost your foundation a little. A strong aspect from Venus in Libra helps offset this, showing that by cultivating your passion and motivation for work and renewing your vigor in this regards you’ll be able to overcome what feels like a lull in your energy. There is still a good bit of transformational energy in your rising sign due to the presence of Rahu and Ketu, but now that Mars has left you should be recovering from any of the stress problems an medical issues the transit of Mars may have put you through. In spring of 2019, these two shadow planets (Rahu and Ketu) will finally leave your rising sign, which will open up a lot of new opportunities and make you feel like you have some freedom and energy in your life. Jupiter, Mercury, and the Sun are all transiting in Scorpio this month, giving this sign a strong influence over everyone’s charts. For you, these are all somewhat difficult planets because Capricorns have a difficult relationship with these planets. Jupiter’s presence in Scorpio for the next year can cause some serious financial fluctuations, both up and down, which requires that you have some foresight and diligence and plan for rough times while things are going well, and be thrifty when things get tough. 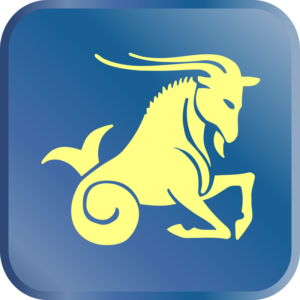 Jupiter loves to help people’s finances, but its a bit of a turbulent planet for Capricorns, but it can yield some success with investments so keep an eye out for good opportunities in this regards. Mercury can open up some new financial opportunities too, and you can benefit from new contracts, business deals, and trades/exchanges, so for business owners looking to set up a shop or store-front, this is a good transit. For the first 15 days of December the Sun will also be in Scorpio, which is stressful for finances and can also cause problems with siblings or cousins, but depending on how your own natal chart is, the Sun may also give some money through inheritance while transiting here. Some expenses due to health are likely. After the 15th the Sun moves into Sagittarius, which can also cause expenditures due to health or unforeseen expenses that you have to deal with. Expenses due to government fees or problems are also likely, so plan accordingly and be frugal. Mars will spend the first three weeks of the month in Aquarius. This is a difficult transit because Mars isn’t particularly happy here and can cause injuries or fatigue in the body due to overworking, and problems with co-workers can also happen. The positive side of this transit is that it directs the attention to your body, which can help improve health and blood circulation and can help you make important changes to your diet and exercise. A strong Venus luckily aspects this Mars from a favorable angle, which turns the usually destructive energy of Mars into something more beneficial for health and career. In the last week of December Mars will leave Aquarius and enter into a more favorable position in Pisces that can result in a pay-raise and improvement in financial situations. Scorpio is packed this month with three planets; Jupiter, Mercury, and the Sun. Jupiter will be here throughout the next year and is likely to promote you to a higher position in work, potentially even as a manager since Jupiter loves to manage things. For the first week of December, Mercury is still retrograde, which can cause all kinds of frustrations and problems in the workplace. After the 7th, Mercury resumes its normal motion and may result in you getting some additional education or certification at work. The Sun will be in Scorpio until the 15th, which turns a lot of your time and attention to planning for the future and figuring out what you want to do with your career life. After the 15th it goes into Sagittarius where you may have a new partnership at work or some kind of new situation that gives you a pay raise. You may simply be working much more, and hence making some more money. Venus is strong in Libra this month. 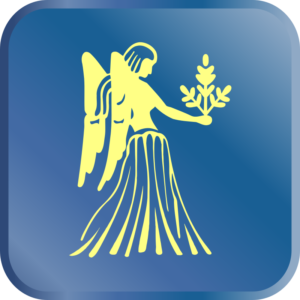 This is a very auspicious transit for Aquarius ascendants because Venus is a friendly planet in a strong sign with a favorable and supporting aspect on your rising sign. What this means is that the areas of life that Venus aspects are going to be nourished and supported. In your case, these areas of life are all focused on your sense of self, physical health, education, and personal views/principles. Venus’ energy here is great for continuing to work on your physical health, largely by educating you as to how to eat and exercise properly. Your own views on things expand and become more compassionate and encompassing due to the warm and living nature of this planet, which for meditators also helps open the heart and generate more motivation for practice. In relationships, this transit can help you adjust the way you think about your partner and how you find happiness in the relationship. Overall, Venus’ transit here can give you a much healthier and happier world-view and self-view. All of the planets are placed in an active part of the sky right now for Pisces ascendants, directing your energy outward towards things like career, relationships, income, and travel. Jupiter is the most important planet for you, and it is transiting through Scorpio this month and for much of the next year. This means the next year will be one of personal development, maturing your world-views and life philosophy through education or learning from a mentor/guru. Because of Jupiter, this next year is going to be an excellent time to work on your schooling and education in preparation for some of the career opportunities that will open up in 2020. These effects of Jupiter are strong this month in particular because Jupiter is joined by Mercury and the Sun, bringing some of these opportunities to your mind right now and pushing you to act on them. Mercury’s influence is particularly good for education, making this an ideal time to plan your future in this regards as it may open up some new opportunities for you. This is also a good transit for people who work in sales or for entrepreneurs to make new contracts, find a new office, or make new partners. The Sun will be in Scorpio for the first 15 days of December, which again pushes a lot of energy into the part of your chart that deals with education and personal development, especially in regards to your work or career. It can also indicate a good bit of stress about these matters, as well as potential stress or problems with your father’s health. After the 15th the Sun will move into Sagittarius where it will keep you busy at work, and if you work hard and with a good attitude this transit can give you a better position at your job with increased pay. Mars will spend most of December badly placed in Aquarius, where it is likely to cause expenditures due to family or education. The source of these expenditures may be travel. In the last week of December, Mars will move into Pisces (your ascendant) giving a lot of energy to your physical body. This energy is best directed towards something positive such as improving diet and health, otherwise, it may manifest negatively as injuries or fatigue. The beneficial aspect of Venus throughout December should put this martial energy to good use and improve physical well-being, while in the last week of December and throughout January the aspect of Jupiter on Mars will help you direct this energy towards your studies and education.